18"x18" original watercolor painting of red Amaryllis flowers. 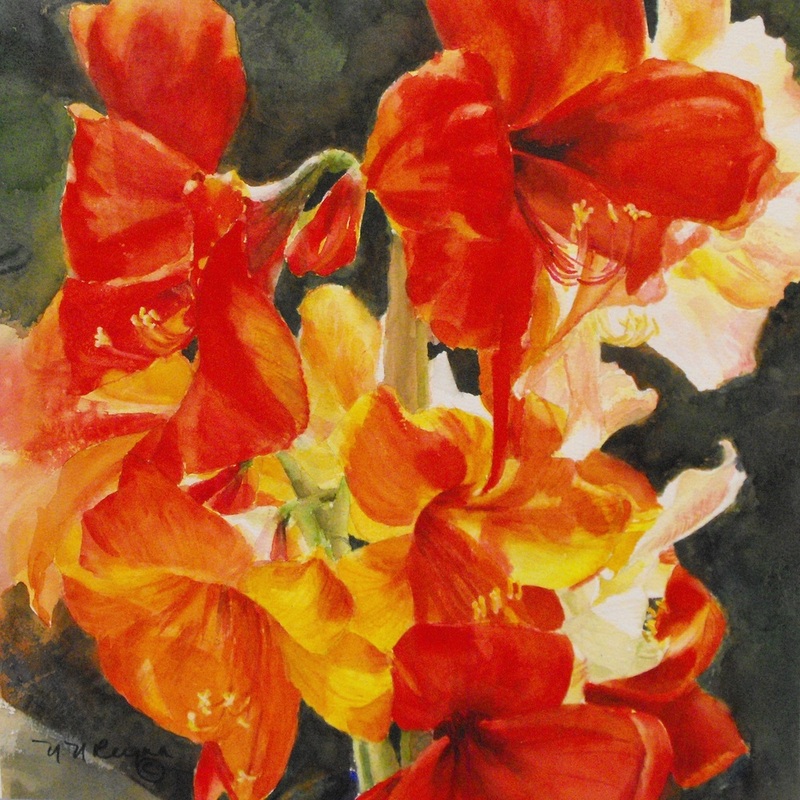 Watercolor painting of red Amaryllis flowers illuminated by the afternoon sun. The amazing light and colors in these blooms pulled me over to a display table in a festival at Kanapaha Gardens in Gainesville, Florida. They were glowing from the angle the sunlight was falling on them. 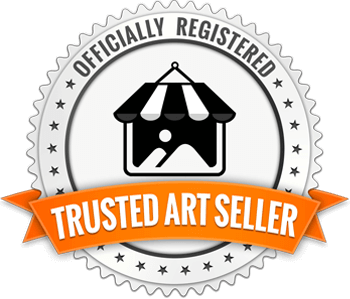 Sunsplash art, a tropical nature watercolor painting of red Amaryllis flowers backlit by sunlight.